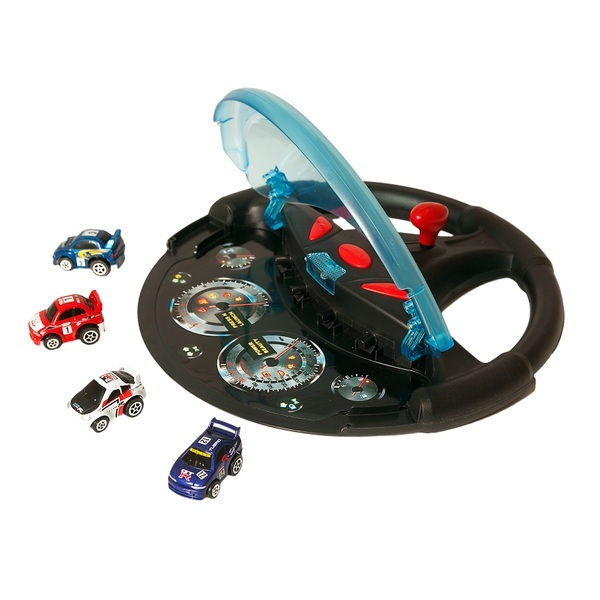 Steering wheel play set with real engine sounds and working lights. Comes with 4 die-cast cars. Styles may vary. Batteries included.